If there’s a sound or sounds that best exemplify summer I’d say it’s a guy calling a baseball game that you hear from a radio. 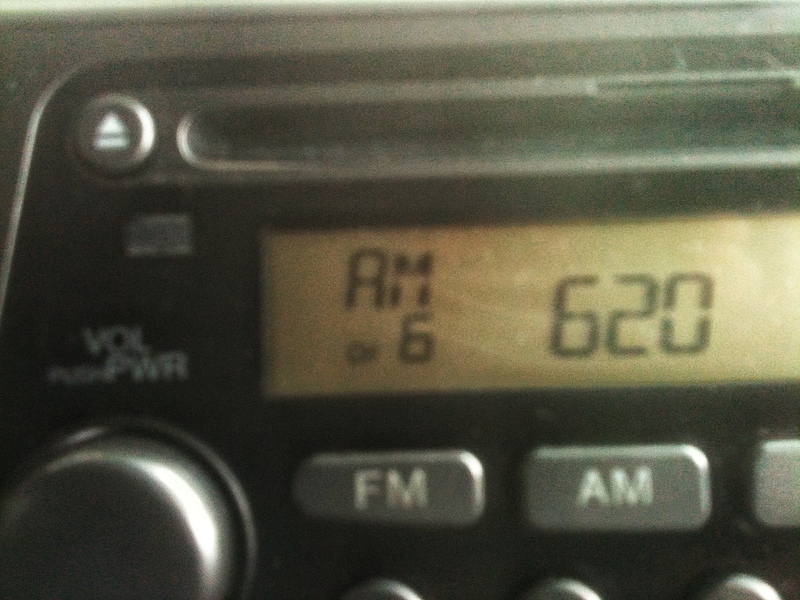 The full effect may be best heard on an AM radio station driving in a car but an old radio on a porch would work. Crickets may be a close second as a summer sound but I prefer a ball game. Even though I’m not following baseball much this season, besides knowing the Red Sox are in last place, hearing a game on the radio gives me that summer feeling. I stumbled on a Hillsboro Hops broadcast while surfing the AM dial one night in late July. I was drawn into the game not because I knew anything about the players or the league they’re in, but because the play-by-play announcer started telling a story. I haven’t heard much about the Hops. I may have stayed away over disappointment about losing the Portland Beavers, the Portland area minor league team, who seemed to get kicked out of their stadium (in favor of soccer!) and then left town. I was trying to get to a game but never made it. As I absorbed the sounds of the baseball broadcast I was comforted by the soft whooshing background noise that’s made up of fans at the game. Then there was the voice. So it was two guys that made up the broadcast team but the play-by-play man had a radio perfect voice–golden tones not too deep or too high–a baseball voice that cut through the night. His story began in the middle of an inning. This seemed like a challenge because the play-by-play guy still had to call the game. His tale described an old baseball coach, maybe he was from a community college, who had been flipped off by one of his players. He had me going with the whoosh in the background, the summer feeling rushing into me, but there were interruptions. He’d break into his story with game descriptions like 2 and O count or batter swings, typical game phrases. At one point there was so much action going on. I began to wonder, out loud, if he was going to get back to the story. I feared he’d forget to finish. The guy was a pro. Sure enough he got back to talking about the coach and the player who flipped him off. The kid was given a choice. He could quit the team or go with the coach to a gymnasium. The player decided to stick it out and accept his fate. Once in the gym the coach told the kid to put on a helmet. I don’t know what kind of a helmet, but the player at least had a chance to protect his head. The coach proceeded to pelt the player with baseballs giving the player an opportunity to run in a confined space and do some dodging. There wasn’t much more to it than that. The coach, an old baseball coach, could pretty much get away with whatever he wanted to do. The story reminded me of the kids of books about baseball I enjoyed reading in the 70’s, books by Joe Pepitone, Sparky Lyle as well as Bill Bouton’s Ball Four. How I managed to never read the book by Bill “Spaceman” Lee is beyond me. Those books brought out the crazy side of baseball personalities the stuff I was getting from the radio on a summer night. There’s a lesson too that it’s never a good idea to flip off a coach, any coach whether you’re on his team or not.